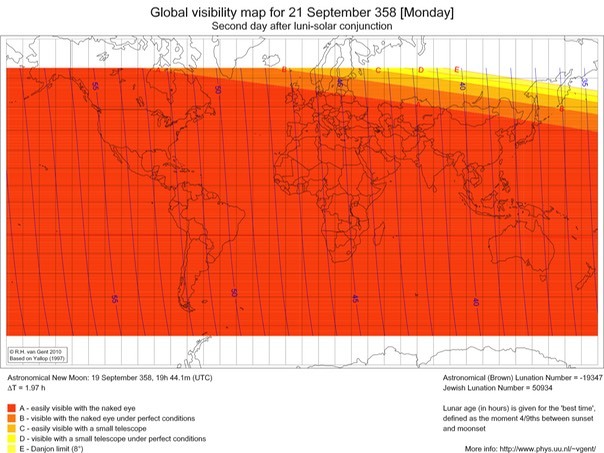 Note these 3 Global Visibility Maps were created by Robert H. van Gent. He displays dates in Julian. In my charts and tables dates are all in Gregorian as Apple’s Numbers program uses Gregorian even for dates BCE (Before Common Era). The day of the week is of couse the same in both systems. The thin red line passing under Cape Horn Chile is the path of the moon. 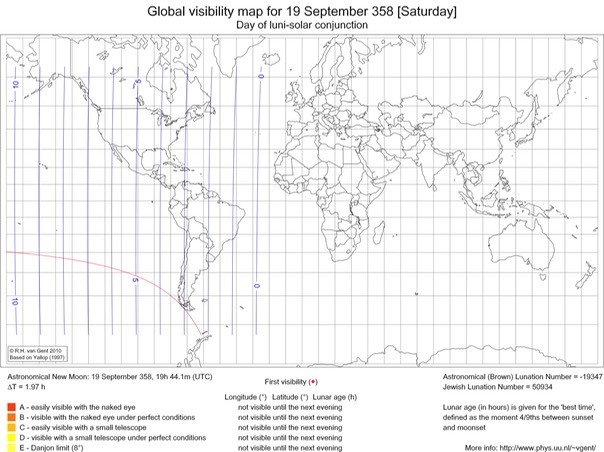 The purple lines mark the hours from the conjunction. The line with a zero on top is the conjunction which was over Antarctica, as extreme south as one can get and very unusual. The conjunction was in Gregorian Sat, Sep 20, 358 CE at 21:56 Israel Standard Time. 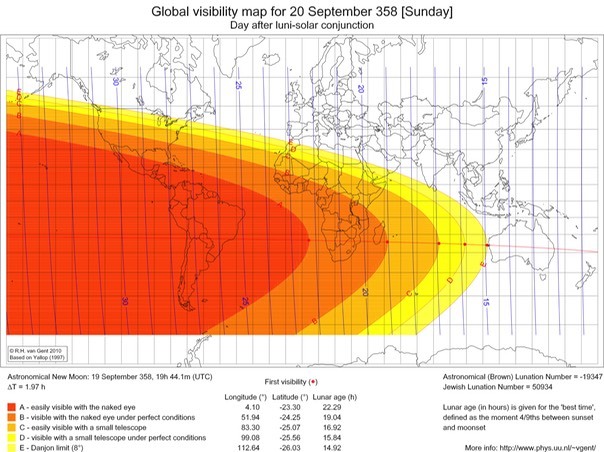 On Sunday, 19 hours after the conjunction the New Moon can first be seen with the naked eye under perfect conditions in Madagascar, there is no possibility to see it in Israel. Only Monday, some 45 hours after the conjunction was the New Moon visible in Israel in the West after sunset.